Anyone who knows me, knows that alongside Iron Man, my favorite comic book hero of all time is Superman. He has always given me something to strive for, to try to make myself better than I am, to hold myself and others to a higher form of ideals. And all of that stems back to reading the comics as a child (and even now) and Richard Donner’s epic film. As a child I would listen to the theme constantly (taped from a point when Superman II was shown on television) and lay atop a tiny wheeled foot stool in my family’s tv room and roll around as if I were flying and from those first amazing notes of John Williams’ incredible score this movie takes me in every time I watch it, something I was happy to do for the 101 Action Movies. Despite his credit being buried after Marlon Brando and Gene Hackman, the film rested entirely on the then unknown Christopher Reeve. And for my money, no one since has had the same open, honest appeal as Kal-El that Reeve had. It’s a big film, easily broken into 3 parts, Krypton, growing up in the mid-west, and Metropolis. Each segment feels completely different, and though there are comic book moments through out, the film truly becomes a comic book, given as a highest compliment, when Clark Kent arrives in Metropolis. Reeve imbues Kent with a bumbling charm, a facade Kal-El takes on as a reflection of the people around him, earnest, true, if a little unsure of foot and self. Margot Kidder’s Lois Lane comes across as no-nonsense, and bounces between treating Clark like one of the girls, to being gob-smacked by Superman, though I was never into smokers, so she lost points as soon as she lit up. Sorry. 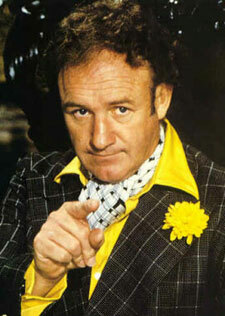 Hackman’s take on Lex Luthor is a lot of fun, but you have to wonder how he got stuck with a buffoon like Otis (Ned Beatty), Miss Teschmacher (Valerie Perrine) however I totally get. 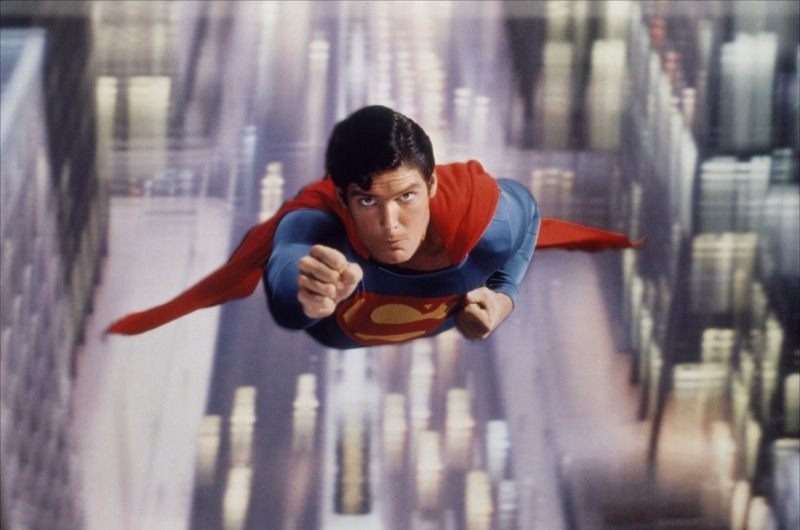 There are so many moments in this film that I love, including the very 70s moment when Superman steps out onto the street and he’s complimented on his outfit before lifting off into the sky (always makes me smile). None of the film is supposed to be taken too seriously, it’s meant to be a fun ride, and this one is, it tells the Superman origin story in an epic, and still family friendly way, the bad guys get their just desserts and Supes makes the world safe for us just a little while longer. There are sequences that are iffy, the dam collapse and subsequent flooding is blatantly identifiable as models, but where some moments fail, the film did achieve its tagline in a big way… You will believe a man can fly! And oh that gorgeous score! It really doesn’t matter how bad things get for me, if that theme comes on my ipod at any point (and it’s a fantastic way to start the day), I smile, I walk a little taller and prouder, and one can’t help but imagine throwing yourself up from the ground and into the sky to save the day. Who was your favorite Superman? 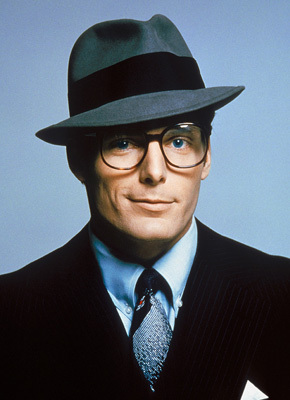 I don’t think that there is someone out there who could portray Superman in a better way than Christopher Reeve did, although he wasn’t the first actor to play Superman. But I really liked Dean Cain (the best since Reeve) and Tom Welling (the only negative: it took him TEN YEARS to fly!!!!) and it was really fun to watch the three of them playing in Smallville.